The quest for the best burger continues. 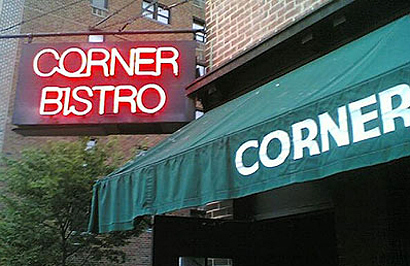 I finally tried Corner Bistro in Chelsea/the Village. I had been fearful because it is so popular (gosh I can tell Ive been here nearly a year- Im skeptical of things that have too many reviews on Yelp). Im such a beeyatch. Its a cash only dive bar. The burger was 7.95. I ordered a burger and fries to go and sat quickly sipping a vodka soda in the middle of the day. 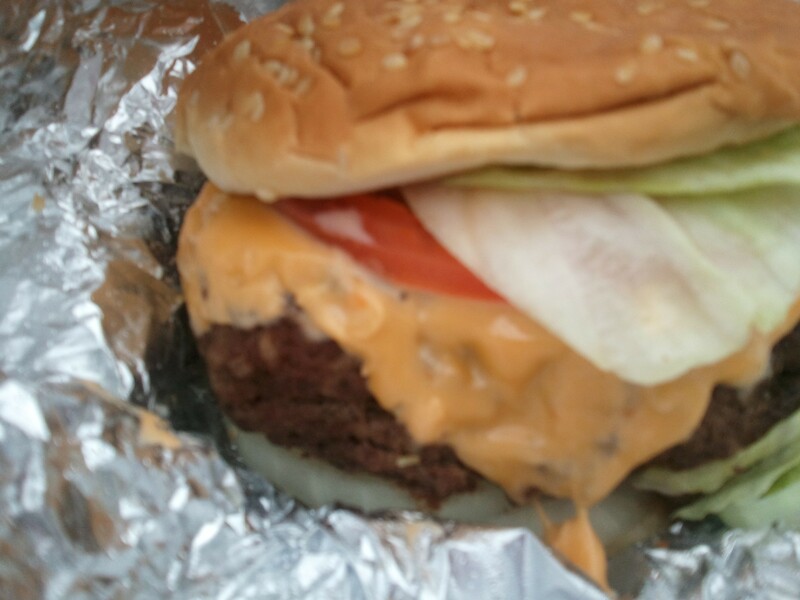 I ate the burger in a park nearby. OMG. I had to slow myself down. It was amazing. My next jaunt will take me to Westville West – which Luke claimed has the best burger in the city. He is white trash like me- I trust his taste. Actual photo of burger…. Homer Simpson…..